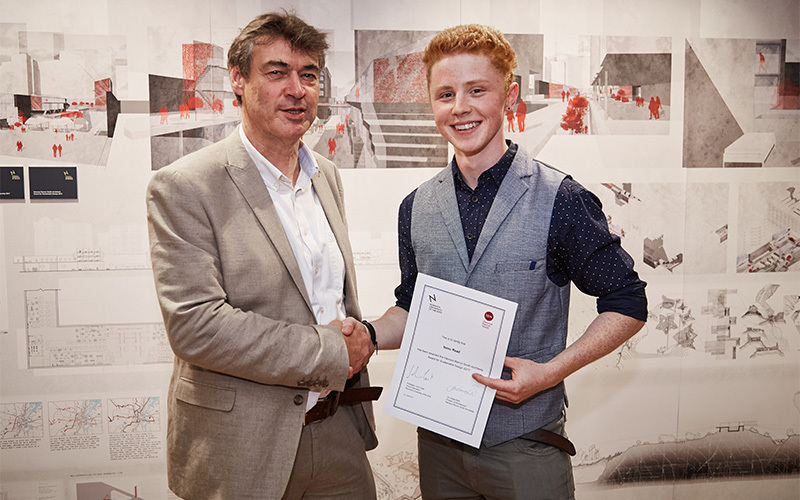 BA (Hons) Architecture student Isaac graduate Read was awarded the Hamson Barron Smith Architects Awards for Sustainable Design 2016/17. Jon Greenfield, Director of Architecture at Hamson Barron Smith said “Two aspects of Issac Read’s project impressed the judges; the social aspect, of searching for new ways of living that are more in tune with the planet’s resources, and the physical aspect, literally the physics of the proposed building fabric. We could see that Issac was thinking about orientation, and the related concerns of solar gain and shading, as well as the physical properties of different materials. Using mass concrete, masonry and glass had stimulated him to think about the heating, cooling, insulating and re-radiating properties of the building fabric he was proposing”.